Around this time a year ago, our Playstation 3 died. During a round of Sleeping Dogs, the console just quit and started in with the blinking red light — the deadly “red light of death.” We tried to get the thing up and running again to no avail. And since it died with the game still inside, we had to take our beloved machine apart to get it out. It was a sad, sad weekend. After the PS3 was in pieces, we discussed our options: get another PS3 or wait for the PS4, which was then a mere rumor. It was a couple months before we finally made the decision to get another PS3. We had so many games already for it, and so many games to start over (since we lost all the old save data…grrrr), it seemed a shame to not give them the chance they deserved. I’ll do my best to keep my PS3 up and running on my island, but my list won’t include Sleeping Dogs…I still feel like it’s somehow cursed. The release of the Playstation 3 in late 2006 was preceded by some of the same buzz that has hit gamers today with the Playstation 4. However, the PS3 wasn’t an immediate success once it was on store shelves. Both the Wii and the Xbox 360 had been on the market for awhile, and both were quite successful. 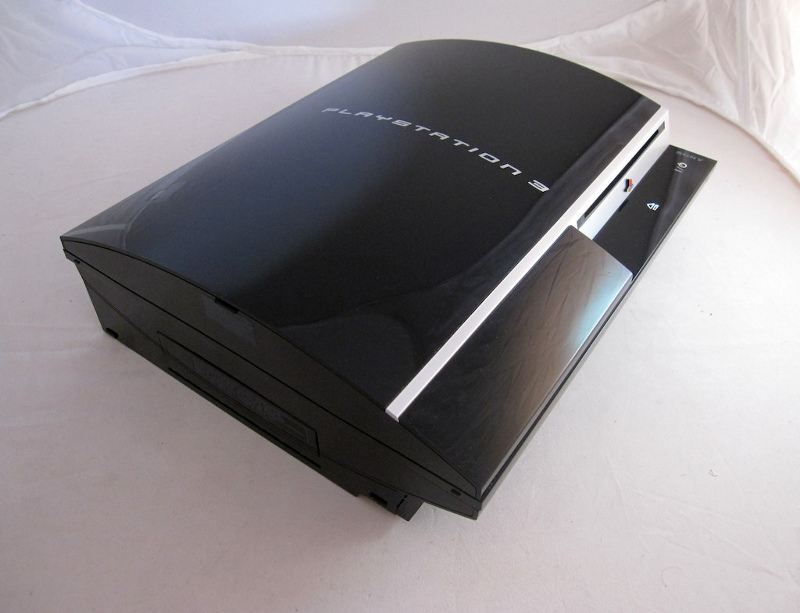 The PS3 had a rather high price point ($499 for the basic 20 GB model), and faced a good deal of criticism for its lack of hit launch titles and for being a difficult machine for which to develop games. But the PS3 had at least a couple things going for it: it had a Blu-Ray player and could connect to the PSP (and later the Vita). Over time, its ratings with consumers and the industry drastically improved. With this was ushered in the “Sony vs. Microsoft” stance among gamers, which seems only seems to have heightened as release of the PS4 and Xbox One nears. In my mind, Uncharted 2 is the perfect game. Yes, you heard me…perfect. I cannot, at this moment, think of a single bad thing to say about the game. Gameplay and controls? Fantastic. Story and plot? Awesome. Nathan Drake and the rest of the cast? Divine! Playing Uncharted 2 was like playing Raiders of the Lost Ark (the movie), complete with action scenes that combined well intensity, craft, and suspense. I couldn’t get enough of playing as treasure hunter Nathan Drake as he attempted to find the mythical city of Shambhala. I simply can’t not be in possession of a PS3 without this game. Placing a very close second on my list of perfect games is Arkham City, the brilliant follow-up to 2009’s Batman: Arkham Asylum. Simply put, Arkham City was as wonderful as reading a great book. I didn’t want to put down the controller for fear of forgetting all the preceding events. If I had had the stamina to play the game in one fell swoop, I probably would have. Like Uncharted 2, Arkham City offered great level designs with lots of secrets, as well as a good balance of stealth vs. action gameplay. Plus, who doesn’t want to be Batman, at least for a little while…or Catwoman for that matter? This one was a tough choice, because I adored both LBP1 and 2. But I gave the spot to LBP2 for a couple reasons: (1) I’ve yet to finish the game, and (2) *spoilers* there’s a whole level that involves saving the cutest robots ever! *end spoilers* There’s little to hate when it comes to LBP2. The levels are genius, the overall design is brilliant to look at, and there are so many things to find and collect! And…well…sometimes fine control is sometimes required to navigate some levels, but that’s less about the game and more about me being reckless. I just want my little Sackgirl to go, go GO! Really, need I say more than Cave Johnson? Or, Wheatley?? Or, your nemesis in a potato??? If you’ve no idea what I’m talking about, then you simply must play Portal 2. The original Portal was no less than wonderful; but it’s sequel was downright incredible. Portal 2 is a masterful puzzle game of wits and physics like no other; and its imbued with a humor all it’s own. I’m not a fan of first-person perspective games, but I’d play Portal 2 all day long just for voice acting alone. And while I certainly won’t mind the solitude my island provides, it’d probably be good to hear some nice voices every now and again…for sanity’s sake. From what I hear, some players have sunk hundreds upon hundreds of hours into Skyrim, and they still aren’t finished. So give me an eternity, and give me Skyrim! With an insanely expansive world, dozens of character-creation possibilities, and more quests than one could shake a sword at, Skyrim gets a very well-deserved spot on my island. It’s true that the game plays like most any Western RPG, and I’d probably get really sick of my parrot (cause if I have an island, I have a parrot) saying “took an arrow to the knee,” but there’s so much to Skyrim that boredom just isn’t a possibility. I think this is my first “Deserted Island” list that’s made up entirely of sequels! Hey, we all know that Star Wars is great but The Empire Strikes Back is just a little better. In any event, all this makes we want to fire up the PS3! But alas, I’ve got to start thinking about my next entry — the Xbox edition. I wouldn’t necessarily put myself in the Microsoft camp, but I’ve preferred its consoles and its games over that past few years. Sadly, I never had a original Xbox of my own, but I still managed to play a few of its games thanks to the help of friends who did have the ginormous black box with that really large controller. (Like, it was really big. Silly big, almost.) Come on back next time to find out which Xbox games made the cut! Next Post Play, Share, and Win! My PS3 doesn’t have a whole lot of great games on it (and my attitude towards it has soured once I found that, not only was the PS4 coming out soon, but “Kingdom Hearts 3” would be made for the PS4; I knew I should have waited!). But, I do have some I’d choose, mainly because that’s all I have. One would be “Portal 2”. I have not yet played it, but since everyone says it’s good, I’m sure it will be awesome. My “Jak and Daxter” and “Ratchet and Clank” collections (which really are six games rather than two). “Ratchet and Clank: A Crack in Time”. Even though it’s short, it’s tons of fun and my favorite game on the console (it is so darn funny!). Then, either “Uncharted 3” because it was pretty neat, or if I knew ahead of time I was going to end up on this deserted island, maybe I’d buy the “Skyrim” game you mentioned because I really need a long game on the PS3. This is a random rant, but like you and your “Sleeping Dogs” game, I also get afraid to play things due to wondering if they’re cursed. My old TV suddenly went evil on me (as in I got some freaky static, and then it started to flash at me in a very threatening manner) in the middle of “Super Smash Bros. Brawl”, shortly after getting the Wii, so once I bought the new TV, I was a little scared, wondering if the new Wii killed my old TV or “SSBB” was the one to blame. After playing both on that TV, it seems to be neither. Yay. I’m glad your new TV is not cursed, but I too would tread lightly after such an experience. I swear that our Wii has magically disconnected itself from our network at times; not just when the power goes out, but just because it feels like it. I sure it’s a little sore because we ignore it so much. I bet the Jax and Daxter and Ratchet and Clank games would be great collections to have for eternity — your reviews of them makes them sound so wonderful! Portal 2 is a must, and I do hope you enjoy it when you get around to it. I’m with you on Kingdom Hearts 3. Part of me wishes that we had waited for the PS4, but then again, I would have been sad upon passing our shelves of PS3 games. Way back in the day, Blockbuster used to rent consoles, and it was awesome! $20 got you a console and two games for one week. I know we’ll never see anything like that again, but those were good times.